WHAT IS THE MAYFAIR PERSONAL STYLE PROGRAM? Is every morning a battle with your closet? Do you feel like the hardest part of your job is finding something to wear to work? Are you desperate for a date night outfit but don’t know where to start? If you’ve yet to discover the fun in fashion, it is time to book an appointment with Mayfair’s personal stylist. Take the frustration and confusion out of your shopping experience. In a two hour Personal Style Session, our Mayfair Fashion Stylist will teach you what to wear and where to find it. You will have the opportunity to learn how to find the right pieces for your age, height, colouring, body type, and lifestyle. 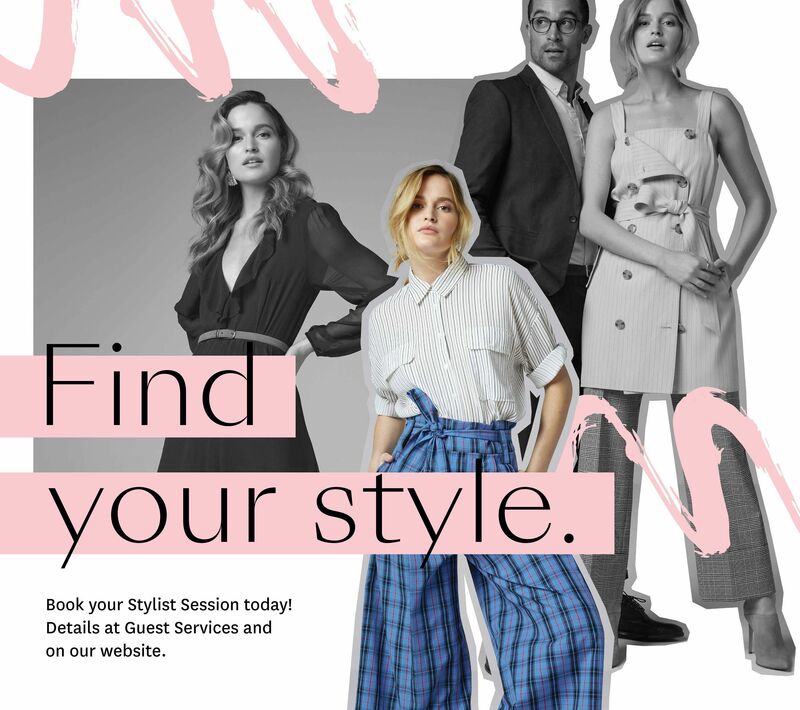 Whether you’re a working professional, a new parent, recently retired or anything in between, our stylist is here to help you to look and feel your very best. By booking an appointment you will also be benefiting your community. A two-hour Personal Style Session can be reserved with a $20 donation to Bridges for Women. If you have any questions, please contact us at style@mayfairshoppingcentre.com.